Dekyi is a stylish Khampa girl with small beads woven in two tiny plaits clasped into a ponytail. She wears a pretty shirt, trousers and felt boots under her long, elegant chupa-coat. 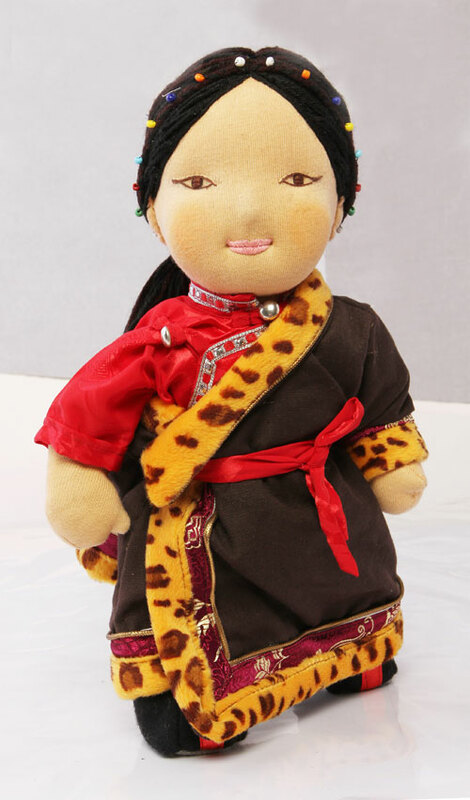 Her chupa is edged with colourful brocade and fur and is held together with a red silken cloth belt.